The owners of a Florida S-Corporation are called shareholders. The shareholders own stock in the company. The stock represents their interest in the entity. In a Florida Corporation, the shareholders elect representatives to manage their interest. The representatives of the shareholders are called Directors. All of the directors as a body are referred to as the Board of Directors. The Board of Directors elects the officers of the company to run the day-to-day operations and report back to the directors. There are formal requirements that include yearly meetings of the board of directors. At these meetings the Secretary of the Corporation must take minutes. When there is to be a vote, everyone must be given notice. 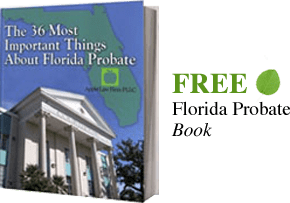 Since Florida Corporations can have many owners or shareholders, proxies can be used so that shareholders can assign their voting rights to an individual or group of their choice. Directors and officers do not have to be shareholders in the business. The corporation is popular because it allows for many owners, segregates the duty of management form the owners, and the creditors of the business cannot look to the owners for repayment of debt from their personal assets. These protections can be pierced if the required formalities associated with running of a corporation are not followed. Corporations use documents like shareholders agreements, and Corporate Bylaws to manage and set the rules of how the shareholders, directors, and officers interact. In addition, these documents can limit the rights of the parties and often set specific formalities on the style and method of management.